Its a pleasant Friday morning here in the suburb that only naps. Life has been extremely good lately, with the exception that I have not had an urge for a pipe in a very long time...until this morning. It has been a cigar filled summer, but with some chill in the air it just seemed right. 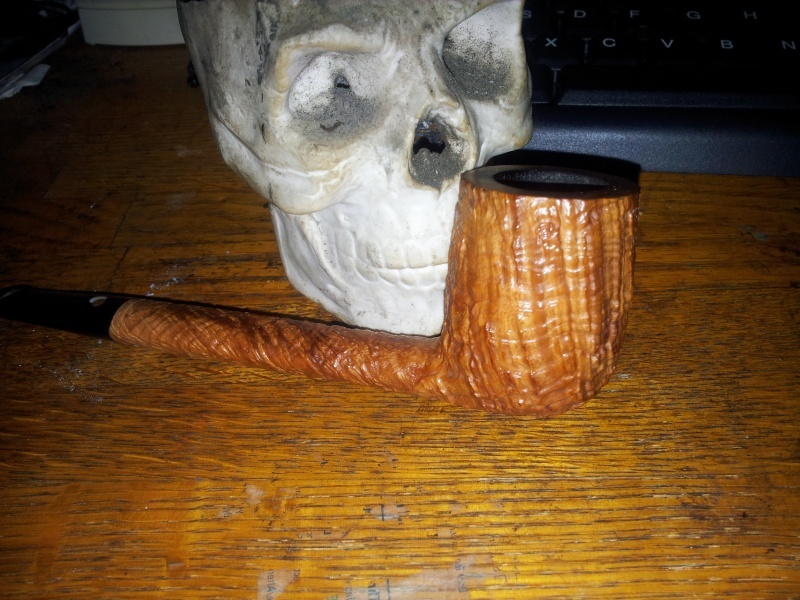 I packed a Claudio Cavicchi Canadian virgin blast with some well aged Westminster. The old Boy lit in two tries and I was off! I thought Firts was a carver I didn't know about. We should have played along like we knew him... as in "Oh yeah, I met Firts at the Chicago Pipe show last year." thank you for reminding me how petty this forum can be over a typo. It was "fists" anyhow. Half the experts here can't read, so everything evens out. How was your first smoke of the summer? I can't do latakia that early in the day, something with my palate just doesn't accept it till I'm unwound for the day. Oh, come on. We do it out of love. We're much more likely to get up in arms over using olive oil on pipes, arguing over matches vs lighters, "ketchup" in McClelland or bowl coatings. So! Hwo wsa yuor frist pepi flul...in I dn'ot kwno hwo lnog? I'm annoyed I missed the typo, then attempted to fix it with another, and got called out along the way. Ironically, marketing often sends me copy to proofread. Latakia makes me sensitive I guess. I the forum well, I have been here a long time, but mainly a lurker these days. The pipe itself was good. I probably should not have dove into Westminster first, but it was best smokey, spicy exotic method of enjoying fresh air I was looking for. Great looking pipe. Good score. Don't wait so long to buy another one, our young pipe makers need your business. Beautiful pipe brother. Love the color and blast.